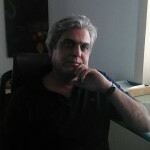 Naeem Khan(Founder of Foodys.com), is a foodie by himself. He actively used to write articles about food and review the articles which added to the passion. The fact that the Indian ecosystem is filled with people in this generation who mindlessly puts in the hours at work compounded by the two way travel in traffic which eats up another two to three hours of their day leaving them time for them only to sleep and go back to work again the next day. Coming back after the hectic schedule and cooking for themselves or for their families is not something that anyone is keen on and hence the combination of the last mile and the food connect gave rise to Foodys.com. He began exploring the food delivery business in the Indian market and realized that there are not many successful brands that deliver Indian food at home. He then began analysing some successful multi nationals who have converted Indians into a Pizza eating nation with their process driven home delivery service. He realized that their success was not necessarily the food alone but the fact that they used processes and technologies by delivering hot and fresh food at our doorsteps. With the underserved market of door delivery where Indians eat different types of foods with varied pallet which gave a huge market potential, he began thinking on how he can replicate this automation with multi-cuisine restaurants which offer a wide range of options that are in demand with the Indian palate. He thought through the entire delivery and logistics process and spent three months in developing an order taking software which is the backbone of his business. He began approaching top restaurants and began talking about Foodys.com and began getting customers almost instantaneously. He says that customer acquisition was a no brainer because Foodys.com was an additional channel for those restaurants with no additional investment as every order was additional revenue for those restaurants. He ran his initial five months with just five hand-picked restaurants to validate his learnings with real time implementation experiences of delivery of food, and from day one onwards, the phones began ringing as the affiliated restaurants began spreading the good word to their customers to call Foodys.com whenever they needed a delivery of their favorite food at home or at office. Within five months, the backend systems and the delivery process were nailed and it was time to expand into a larger market. Since Naeem comes from a marketing and communications background, he had a good grip on practical marketing without huge investments. He began using some smart direct communication tools and techniques by tagging onto festivals and creating food events which gave foodys.com the scope to communicate and gain a wider customer base. He quotes a few, for eg., Printing 50000 kites during Sankaranthi kite flying festival and giving a three pack kite to their corporate customers and also distributes the kites at various kite melas to get the brand out. Another one was giving Tricolor sweets from a popular sweet shop is republic day, gifting strawberry cup cakes and romantic dinners from partner restaurants on Valentines day and this goes on for every important festival. Given the fact that India has so many festivals, there are so many opportunities to reach out to the prospective base. He of course, uses database marketing using SMS, emails and uses SEO to pull in users on to his interactive website and making them sign in. Naeem’s advice to startup founders – Entrepeneurship in one line is all about seeing the obvious that the others can’t. Think long and hard about the needs in the market place and there is a need in the market place for products and services that make lives easier and more convenient. Today, in India ‘the last mile connect’ is a pressing need. Any product or service that reaches to a consumers home or office has huge potential. Back this up with efficient systems and processes, technology plug-ins and web based e-com reach and this is where real difference will be made in the marketplace. We don’t see or think of it as a business model but when we sit back and spend a day or two and day dream , you will find out that there is an opportunity there. He quotes the simple lack of time for the stressed out workforce and pressures of urban life as the primary reason for the success of Foodys.com. No idea is rocket science as long as one has identified the need and use technology to fill the need. Foodys today has almost all the top end restaurants in Hyderabad which is only by invite to ensure quality and caters to households and corporates corresponding to the SEC A+ and A categories of consumers.They have serviced around a lakh plus of orders so far and has a huge loyal customer base with around 60% of the customers have been with them for more than two and a half years and are ordering constantly. Economic Times featured them as one of the Top 15 startups in 2015. Times of India featured them as one of the top food ordering entity. Foodys.com have grown multi-fold in three years to around INR 2 Cr clearly demonstrating the need of such a service in the marketplace and endorsing that processes is important to keep customer loyalty. Foodys is also looking at Funding , Any VCs!! !